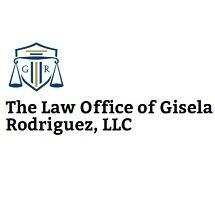 Gisela Rodriguez areas of practice are Immigration Law, Family Law, and minor Criminal Law cases such as driving without license and DUIs. She is a Puerto Rico native who received her undergraduate degree from University of Florida and her Law Degree from Oklahoma City University. Gisela Rodriguez has been practicing for nearly 10 years. She is dedicated to each of her clients and works really hard for them to give their matter the best chance for success. MoreGisela Rodriguez areas of practice are Immigration Law, Family Law, and minor Criminal Law cases such as driving without license and DUIs. She is a Puerto Rico native who received her undergraduate degree from University of Florida and her Law Degree from Oklahoma City University. Gisela Rodriguez has been practicing for nearly 10 years. She is dedicated to each of her clients and works really hard for them to give their matter the best chance for success. Her professional career...Gisela Rodriguez areas of practice are Immigration Law, Family Law, and minor Criminal Law cases such as driving without license and DUIs. She is a Puerto Rico native who received her undergraduate degree from University of Florida and her Law Degree from Oklahoma City University. Gisela Rodriguez has been practicing for nearly 10 years. She is dedicated to each of her clients and works really hard for them to give their matter the best chance for success. Her professional career began as a teacher, teaching at a public school and a Community College. She later worked at the Auditor General’s Office in Tallahassee. Before opening her legal practice in 2014, she was a staff attorney at the Florida House of Representatives, Bill Drafting Office. She is a member of the American Immigration Lawyers Association (AILA) and co-founder of the Giselle Marie Foundation. Gisela believes strongly in contributing to the well-being of our communities by uplifting and empowering people to believe in themselves and reach their true potential.